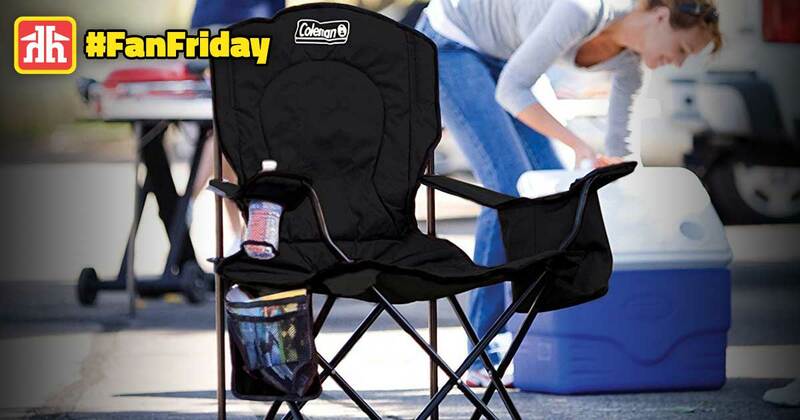 Enter today for your chance to win a Coleman Oversized Quad Chair with Cooler* valued @ $49.99! The Coleman Oversized Quad Chair features a built-in arm rest cooler holding up to four cans, a sturdy mesh cup holder, side storage pocket and durable construction, heavy-duty steel frame supports up to 300 lbs. * photo not exact. Fan Friday presented by Brantford Home Hardware, is our way of saying "Thank You" to all our loyal customers. Without you we would not be Brantford's #1 source for Power Tools, Paint Supplies, Electrical and Plumbing Hardware.